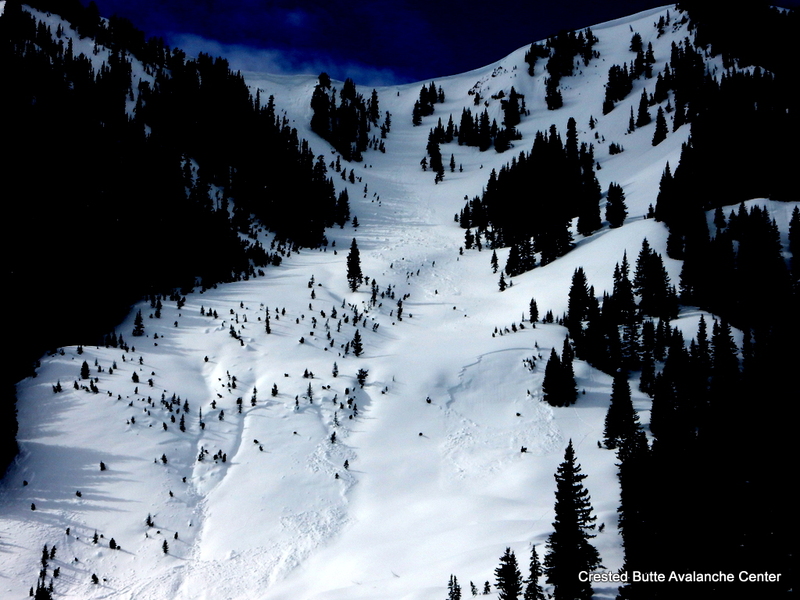 Avalanches: No new avalanches. Some cracking/storm slabs 2″ thick on the 2/17 near surface facet layer on NE aspects NTL; completely harmless but an indicator of how fragile that layer is right now. 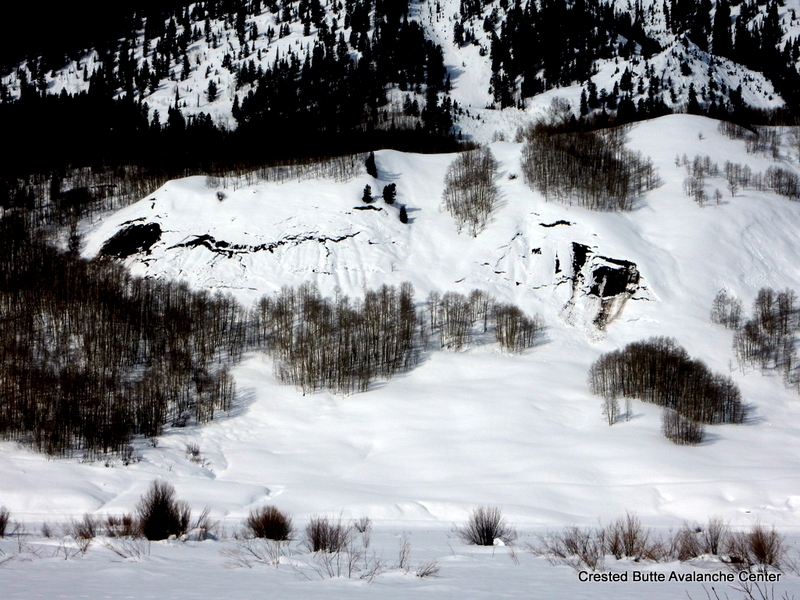 See photos of older avalanches that ran during last storm or during the warm-up. 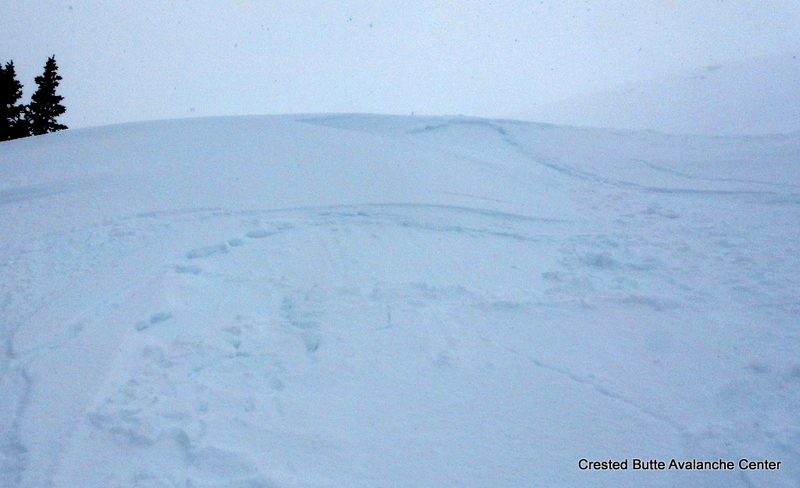 Glide avalanches, persistent slabs, wet loose, and wet slabs. Weather: Scattered clouds increased to overcast by late morning; S1 to S3 began around 12:30 p.m, about 2″ accumulation by late afternoon. 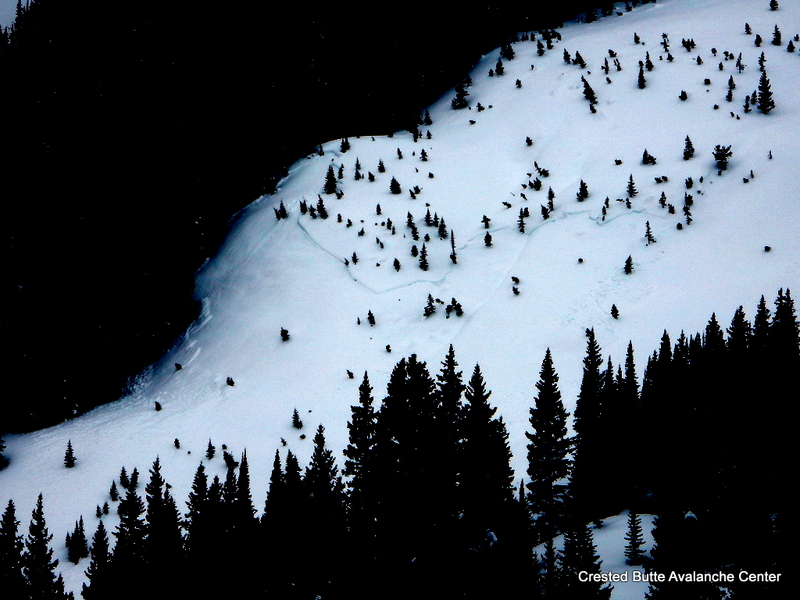 Light SW winds with light snow transport at ridgeline. Mild temps. 1) 10,500 ft. Thin melt-freeze crust about a foot deep, with 1mm facets below. Not reactive under current load (ECTN M) but something to keep an eye on. 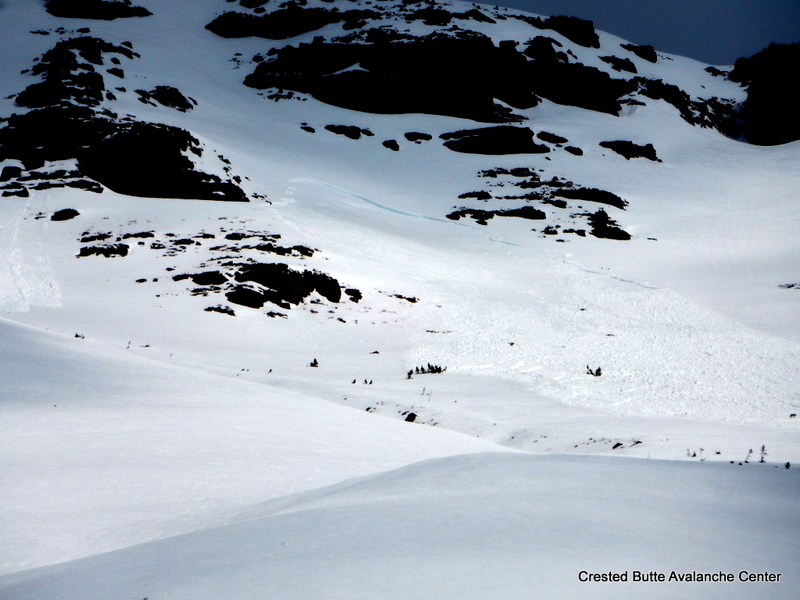 Near surface facets 1″ deep. 2). 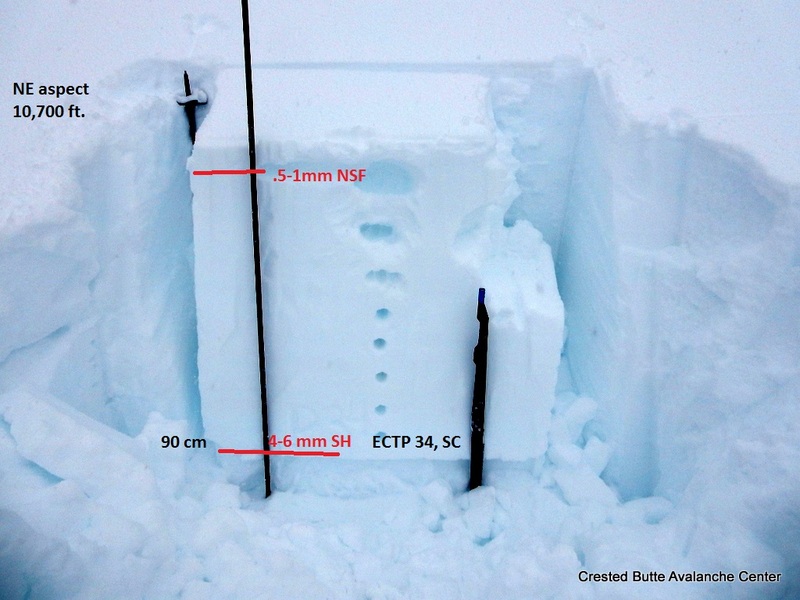 10,700 ft. 1/19 Surface hoar layer was 90 cm deep under a 1F slab. Propagating results in ECT with 4 additional shoulder hits beyond normal loading steps (ECTP 34, SC). Near surface facets 2″ deep. 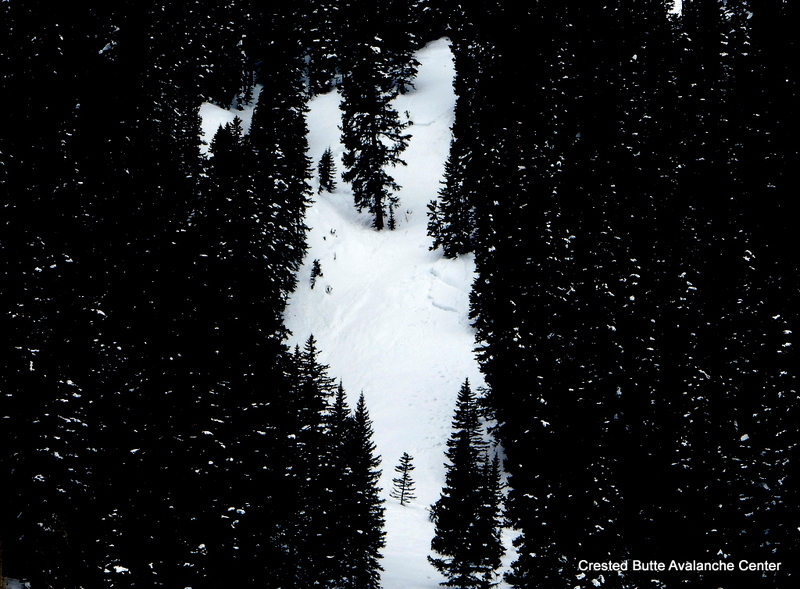 Some recent and older glide avalanches. Easterly aspects BTL. D2. NE aspect N/BTL (10,700 ft). 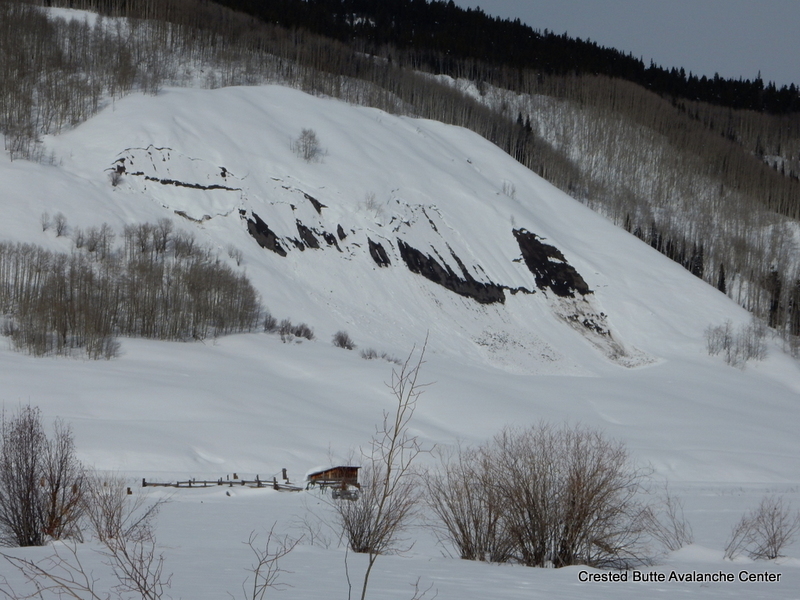 Looks like a natural from last storm, likely the buried SH layer but could have been a shallower weak layer. Lots of wet loose activity on E, S, W aspects, averaging D1.5. This was a D2 Wet slab on S ATL, ran sometime during the warmup. Several D1.5 and D2s on NE aspect NTL (10,700 ft and above). Looks like they ran last storm on the 1/19 SH layer, but could have been a shallower weak layer. D2 on NE aspect N/BTL (10,700 ft). Looks like it ran last storm on the 1/19 SH layer, but could have been a shallower weak layer. 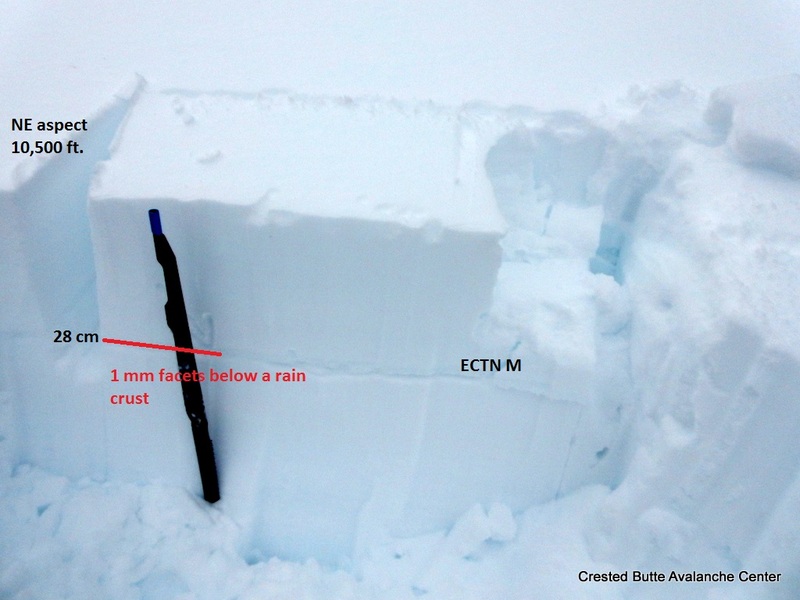 Buried rain crust/facet layer. NE aspect 10,500 ft.
3 foot dense slab over propagating SH layer. NE aspect 10700 ft.